Today in Oslo, we started off by having a discussion in the Akershus Fortress about how energy shortages have always been a driving force in new energy production methods being invented. We also discussed the purpose of studying all the different types of energy production methods, specifically in Scandinavia. Scandinavia has a different outlook on energy production, mainly that they strive to be one with nature. This idea drives companies to use greener methods in production and inspires new renewable technologies. 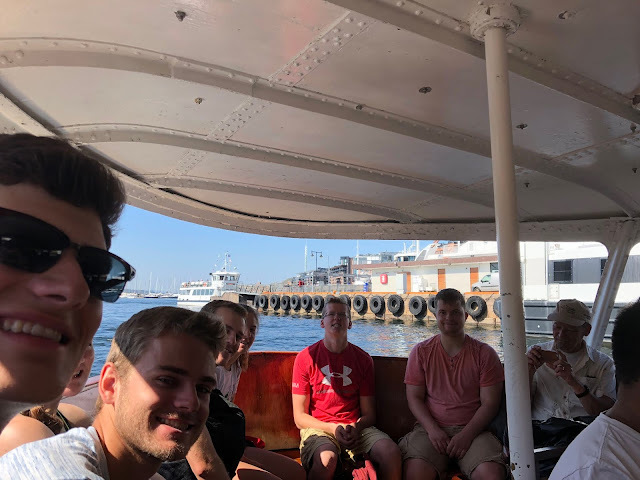 The group then met up with Terje Gjengedal, who is currently a professor at the University of Oslo, Agder University, and the Norwegian University of Science and Technology (NTNU). 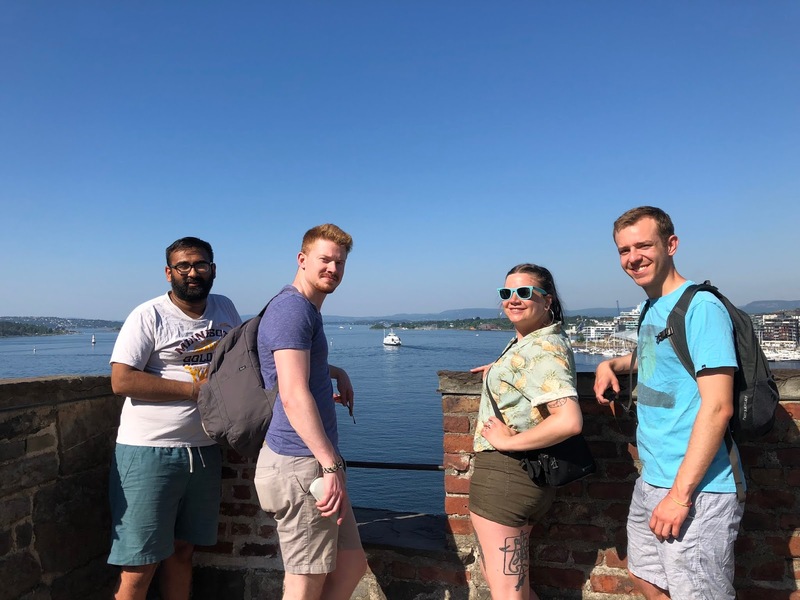 We all took a ferry together to the other side of Oslo with Terje, where he showed us around some of the museums to learn more about Norwegian culture. One of the museums the group visited was the Viking Ship Museum. The museum was filled with old Viking ships that had been found buried in Norway and were refurbished, as well as remains of Vikings and other artifacts. The Vikings are well known for having been great engineers, especially when it came to the way they constructed their ships. 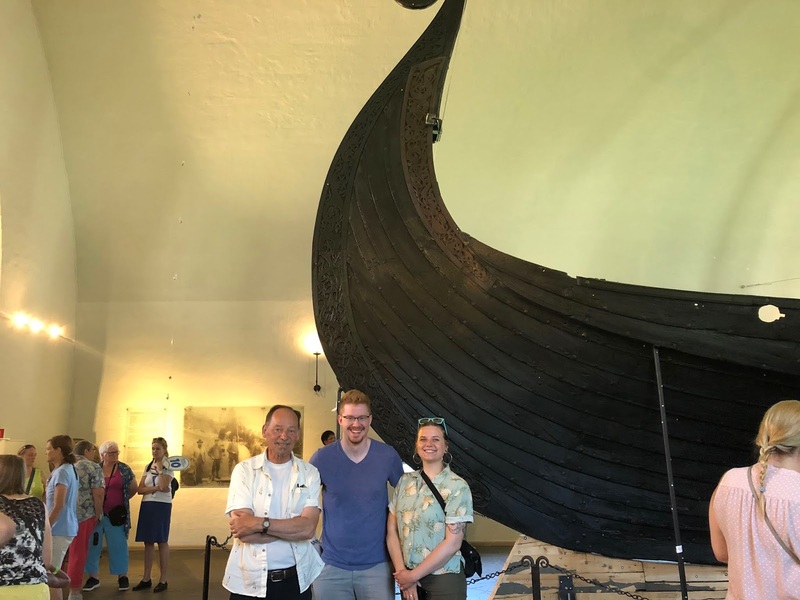 After the Viking Ship Museum, the group split off to either go to the Kon-Tiki Museum or the Norwegian Museum of Cultural History. The Kon-Tiki Museum was a museum highlighting a Norwegian adventurer, Thor Heyerdahl, and his expedition on his homemade straw raft from Peru to the Polynesian islands, to prove that the indigenous people to those islands originally sailed there. The Norwegian Museum of Cultural History, the museum that I went to, was a large, open air museum with more than150 buildings showcasing what life was like through the different regions and time periods of Norway. After the sight seeing, everyone took the ferry back to the other side of the city and enjoyed their last night in Oslo.